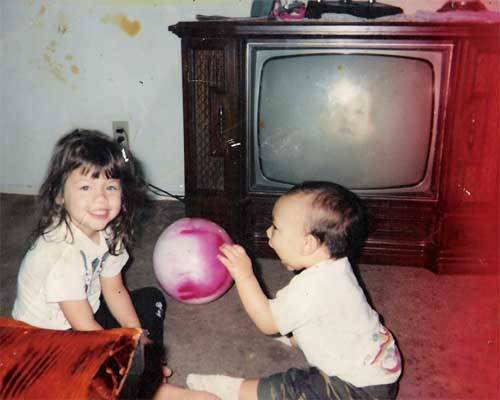 paranormal.about.com, says: When my parents took this picture of my brother and me, they could not see that face in the TV at all, so we were all very shocked when we got the picture developed. And the TV was not on. 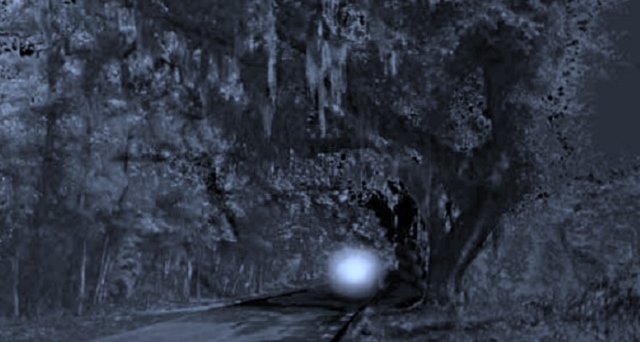 Frogmore, South Carolina is home to the Land’s End Light, a mysterious, glowing orb that has frightened residents for generations. Here’s the story behind this infamous spook light. And if you DO happen to see a bunch of ghost hunters running from an abandoned building in the middle of the night (you’ll know us by the K2 meters in our hands and the look of panic on our faces), it is probably best to RUN. I don’t have to run fast. 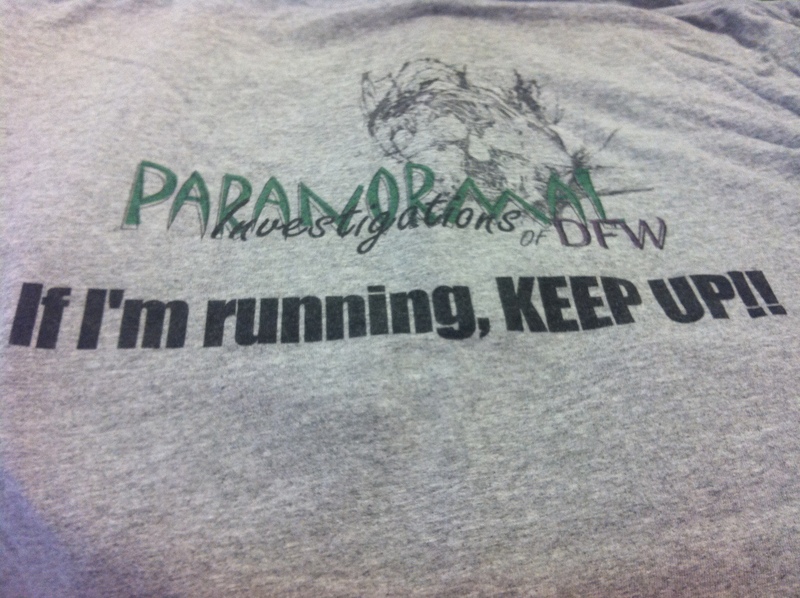 I just have to run faster than you. Cragfont Mansion is one of the most historic, and least well known pieces of history in Middle Tennessee. Located just off Highway 25 in the Castalian Springs community of Sumner County, TN, Cragfont Mansion was completed in 1802. At the time it was built, it was the greatest house west of the Appalachians. It was owned by James Winchester, of Maryland, who was a prominent citizen of the area, and a brigadier general during the War of 1812, having worked with such well known people as Andrew Jackson. He was also one of the founders of Memphis. During the Civil War, the house was damaged by Union soldiers. During this time, George Washington Winchester and his son were off fighting for the Confederacy. They were captured in 1863, and imprisoned. During this time, Malvina Winchester kept the plantation going despite very difficult situations. While it was being vandalized by soldiers, many of the slaves were disappearing, either fleeing to Union lines or being kidnapped. When George W. Winchester returned in 1865, the plantation was damaged, but still very much running. Today, Cragfont Mansion stands as a reminded of a time gone by. Since you’re reading about it on this website, you can probably conclude it’s believed to be haunted. Indeed, there are many legends of odd occurrences which happen there, which is not surprising considering its long, glorious, and sometimes tragic history. Many people report a high energy level in the area. It is believed that the ghost of James Winchester walks the house at night. I’ve heard from people who swear they have seen candles burning the windows at night. Other reports state that ghostly figures can sometimes be seen gazing out the window. Others say that the ghost of Malvina haunts the house. Since she worked so hard, and poured so much emotion into the mansion she loved, it seems logical that she might still be looking over the place from beyond the grave. Her hard work might still continue. Other reports exist of the place being haunted by Civil War soldiers wearing both Blue and Gray, slaves, and others, though the two above seem to have the most reports. Are these stories true, or are they simply legends? If you’re ever in the Sumner County area, just stop by and visit the mansion, and judge for yourself!